Dr. Chris Cole-Johnson is an epidemiologist with a strong research focus on health during infancy and the epidemiology and etiology of allergic disorders, with the goal of the primary prevention of allergy and asthma. As part of this effort, she established a Center for Allergy, Asthma and Immunology Research (CAAIR), which includes a research effort that ranges from molecular epidemiology to disease management in the community. 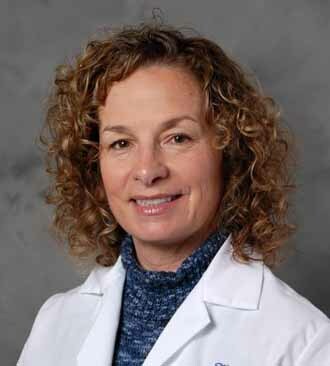 She has built a research team that includes Ph.D. and masters-trained epidemiologists and biostatisticians and physician-scientists specifically focused on prenatal and early infancy characteristics related to immune development, inflammation and pediatric health, within our integrated health system that serves an extraordinarily diverse population. Joseph CLM, Havstad S, Bobbitt K, Woodcroft K, Zoratti EM, Nageotte C, Misiak R, Enberg R, Nicholas C, Ezell JM, Ownby DR, Johnson CC. Transforming growth factor beta (TGFβ1) in breast milk and indicators of infant atopy in a birth cohort. Ped Allergy Immunol 2014. Wegienka G, Joseph CLM, Havstad S, Zoratti E, Ownby DR, Johnson CC. Sensitization and allergic histories differ between Black and White pregnant women. JACI 2012;130:657-62. PMID:22857795.